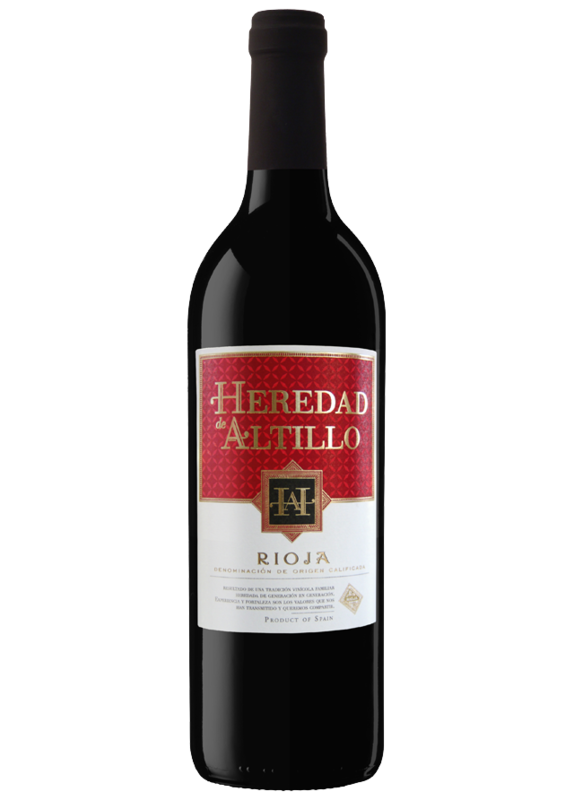 Heredad de Altillo is made from Tempranillo. The grapes are carefully handpicked from the best vineyards in Rioja during the second fortnight in September just at the right ripening stage. Deep cherry red colour with touches of violet. Aromas of red fruits, strawberries and flowers that mirror perfectly on its palate. Smooth and fresh fruit on the palate. Long and pleasant finish. A good companion to rice, pasta with sauce, grilled meat, cheese or salads. The grapes are harvested at just the right moment. A cold maceration process for 48 to 72 hours extracts their skin colour and fruity aromas. Fermentation takes place in stainless steel tanks at a temperature between 21 and 23 ºC) for 8 to 10 days.